Car shopping in the Chardon area? 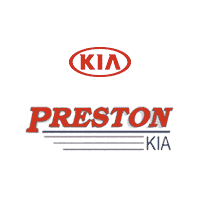 Look no further than our new vehicle inventory at Preston Kia. We have a wide variety of models in stock, from the popular Kia Optima to the fan favorite Kia Soul. Our sales team is ready to help you choose the model that best suits your budget and driving needs, and we always have rotating vehicle specials to make the car-buying process that much easier. When you’re ready to take your Middlefield commute to the next level, stop by Preston Kia to see all our Kia models for sale in Burton, OH! Contact us today. 2019 Kia Soul 1.6L 4-Cylinder **INCLUDED FEATURES & OPTIONS: 16" Alloy Wheels, 4-Wheel Disc Brakes, 6 Speakers, 6-Way Adjustable Driver's Seat, ABS brakes, Air Conditioning, AM/FM radio: SiriusXM, Brake assist, Bumpers: body-color, Carpeted Floor Mat, Cloth Seat Trim, Driver door bin, Driver vanity mirror, Dual front impact airbags, Dual front side impact airbags, Electronic Stability Control, Exterior Parking Camera Rear, Front anti-roll bar, Front Bucket Seats, Front Center Armrest, Front reading lights, Front wheel independent suspension, Fully automatic headlights, Illuminated entry, Low tire pressure warning, Occupant sensing airbag, Outside temperature display, Overhead airbag, Overhead console, Panic alarm, Passenger door bin, Passenger vanity mirror, Power door mirrors, Power steering, Power windows, Radio: AM/FM/MP3 Audio System, Rear window defroster, Rear window wiper, Remote keyless entry, Speed control, Speed-sensing steering, Split folding rear seat, Steering wheel mounted audio controls, Tachometer, Telescoping steering wheel, Tilt steering wheel, Traction control, Trip computer, and Variably intermittent wipers. 26/31 City/Highway MPG All Applicable Rebates have been applied. Buyer may be eligible for further rebates. Please see dealer for full details. We offer FREE PICK UP AND DELIVERY of your car while you work or a FREE LOANER for extended service visits (plus tax, see service for details). 2019 Kia Soul 1.6L 4-Cylinder **INCLUDED FEATURES & OPTIONS: Convenience Package (Automatic A/C Temperature Control and Radio: AM/FM/MP3/SiriusXM Audio System), 16" Alloy Wheels, 4-Wheel Disc Brakes, 6 Speakers, 6-Way Adjustable Driver's Seat, ABS brakes, Air Conditioning, AM/FM radio: SiriusXM, Brake assist, Bumpers: body-color, Carpeted Floor Mat, Cloth Seat Trim, Driver door bin, Driver vanity mirror, Dual front impact airbags, Dual front side impact airbags, Electronic Stability Control, Exterior Parking Camera Rear, Front anti-roll bar, Front Bucket Seats, Front Center Armrest, Front reading lights, Front wheel independent suspension, Fully automatic headlights, Illuminated entry, Low tire pressure warning, Occupant sensing airbag, Outside temperature display, Overhead airbag, Overhead console, Panic alarm, Passenger door bin, Passenger vanity mirror, Power door mirrors, Power steering, Power windows, Radio: AM/FM/MP3 Audio System, Rear window defroster, Rear window wiper, Remote keyless entry, Speed control, Speed-sensing steering, Split folding rear seat, Steering wheel mounted audio controls, Tachometer, Telescoping steering wheel, Tilt steering wheel, Traction control, Trip computer, Variably intermittent wipers, and Wheel Locks. 26/31 City/Highway MPG All Applicable Rebates have been applied. Buyer may be eligible for further rebates. Please see dealer for full details. We offer FREE PICK UP AND DELIVERY of your car while you work or a FREE LOANER for extended service visits (plus tax, see service for details). 2019 Kia Forte LXS 2.0L 4-Cylinder **INCLUDED FEATURES & OPTIONS: 4 Speakers, 4-Wheel Disc Brakes, ABS brakes, Air Conditioning, Alloy wheels, AM/FM radio, Automatic temperature control, Brake assist, Bumpers: body-color, Carpeted Floor Mats, Delay-off headlights, Driver door bin, Driver vanity mirror, Dual front impact airbags, Dual front side impact airbags, Electronic Stability Control, Exterior Parking Camera Rear, Front anti-roll bar, Front Bucket Seats, Front Center Armrest, Front dual zone A/C, Front reading lights, Front wheel independent suspension, Fully automatic headlights, Illuminated entry, Low tire pressure warning, Occupant sensing airbag, Overhead airbag, Overhead console, Panic alarm, Passenger door bin, Passenger vanity mirror, Power door mirrors, Power steering, Power windows, Radio data system, Radio: UVO Play AM/FM/MP3 Audio System, Rear window defroster, Remote keyless entry, Security system, Speed control, Split folding rear seat, Steering wheel mounted audio controls, Tachometer, Telescoping steering wheel, Tilt steering wheel, Traction control, Trip computer, Variably intermittent wipers, and Woven Cloth Seat Trim. 30/40 City/Highway MPG All Applicable Rebates have been applied. Buyer may be eligible for further rebates. Please see dealer for full details. We offer FREE PICK UP AND DELIVERY of your car while you work or a FREE LOANER for extended service visits (plus tax, see service for details). 2020 Kia Soul LX 2.0L 4-Cylinder **INCLUDED FEATURES & OPTIONS: 16" Steel Wheels, 4-Wheel Disc Brakes, 6 Speakers, 6-Way Adjustable Driver's Seat, ABS brakes, Air Conditioning, AM/FM radio, Brake assist, Bumpers: body-color, Carpeted Floor Mats, Cloth Seat Trim, Delay-off headlights, Driver door bin, Driver vanity mirror, Dual front impact airbags, Dual front side impact airbags, Electronic Stability Control, Exterior Parking Camera Rear, Front anti-roll bar, Front Bucket Seats, Front Center Armrest w/Storage, Front reading lights, Front wheel independent suspension, Fully automatic headlights, Low tire pressure warning, Occupant sensing airbag, Outside temperature display, Overhead airbag, Overhead console, Passenger door bin, Passenger vanity mirror, Power door mirrors, Power steering, Power windows, Radio: AM/FM/MP3 Audio System, Rear Bumper Applique, Rear window defroster, Rear window wiper, Remote keyless entry, Speed control, Speed-sensing steering, Split folding rear seat, Steering wheel mounted audio controls, Tachometer, Telescoping steering wheel, Tilt steering wheel, Traction control, Trip computer, and Variably intermittent wipers. 27/33 City/Highway MPG All Applicable Rebates have been applied. Buyer may be eligible for further rebates. Please see dealer for full details. We offer FREE PICK UP AND DELIVERY of your car while you work or a FREE LOANER for extended service visits (plus tax, see service for details). 2019 Kia Forte LXS 2.0L 4-Cylinder **INCLUDED FEATURES & OPTIONS: 4 Speakers, 4-Wheel Disc Brakes, ABS brakes, Air Conditioning, Alloy wheels, AM/FM radio, Automatic temperature control, Brake assist, Bumpers: body-color, Cargo Net, Carpeted Floor Mats, Delay-off headlights, Driver door bin, Driver vanity mirror, Dual front impact airbags, Dual front side impact airbags, Electronic Stability Control, Exterior Parking Camera Rear, Front anti-roll bar, Front Bucket Seats, Front Center Armrest, Front dual zone A/C, Front reading lights, Front wheel independent suspension, Fully automatic headlights, Illuminated entry, Low tire pressure warning, Occupant sensing airbag, Overhead airbag, Overhead console, Panic alarm, Passenger door bin, Passenger vanity mirror, Power door mirrors, Power steering, Power windows, Radio data system, Radio: UVO Play AM/FM/MP3 Audio System, Rear window defroster, Remote keyless entry, Security system, Speed control, Split folding rear seat, Steering wheel mounted audio controls, Tachometer, Telescoping steering wheel, Tilt steering wheel, Traction control, Trip computer, Variably intermittent wipers, and Woven Cloth Seat Trim. 30/40 City/Highway MPG All Applicable Rebates have been applied. Buyer may be eligible for further rebates. Please see dealer for full details. We offer FREE PICK UP AND DELIVERY of your car while you work or a FREE LOANER for extended service visits (plus tax, see service for details). 2019 Kia Forte LXS 2.0L 4-Cylinder **INCLUDED FEATURES & OPTIONS: 4 Speakers, 4-Wheel Disc Brakes, ABS brakes, Air Conditioning, Alloy wheels, AM/FM radio, Automatic temperature control, Brake assist, Bumpers: body-color, Carpeted Floor Mats, Delay-off headlights, Driver door bin, Driver vanity mirror, Dual front impact airbags, Dual front side impact airbags, Electronic Stability Control, Exterior Parking Camera Rear, Front anti-roll bar, Front Bucket Seats, Front Center Armrest, Front dual zone A/C, Front reading lights, Front wheel independent suspension, Fully automatic headlights, Illuminated entry, Low tire pressure warning, Occupant sensing airbag, Overhead airbag, Overhead console, Panic alarm, Passenger door bin, Passenger vanity mirror, Power door mirrors, Power steering, Power windows, Radio data system, Radio: UVO Play AM/FM/MP3 Audio System, Rear window defroster, Remote keyless entry, Remote Start (Key Start), Security system, Speed control, Split folding rear seat, Steering wheel mounted audio controls, Tachometer, Telescoping steering wheel, Tilt steering wheel, Traction control, Trip computer, Variably intermittent wipers, and Woven Cloth Seat Trim. 30/40 City/Highway MPG All Applicable Rebates have been applied. Buyer may be eligible for further rebates. Please see dealer for full details. We offer FREE PICK UP AND DELIVERY of your car while you work or a FREE LOANER for extended service visits (plus tax, see service for details). 2019 Kia Forte LXS 2.0L 4-Cylinder **INCLUDED FEATURES & OPTIONS: 4 Speakers, 4-Wheel Disc Brakes, ABS brakes, Air Conditioning, AM/FM radio, Automatic temperature control, Brake assist, Bumpers: body-color, Carpeted Floor Mats, Delay-off headlights, Driver door bin, Driver vanity mirror, Dual front impact airbags, Dual front side impact airbags, Electronic Stability Control, Exterior Parking Camera Rear, Front anti-roll bar, Front Bucket Seats, Front Center Armrest, Front dual zone A/C, Front reading lights, Front wheel independent suspension, Fully automatic headlights, Illuminated entry, Low tire pressure warning, Occupant sensing airbag, Overhead airbag, Overhead console, Panic alarm, Passenger door bin, Passenger vanity mirror, Power door mirrors, Power steering, Power windows, Radio data system, Radio: UVO Play AM/FM/MP3 Audio System, Rear window defroster, Remote keyless entry, Remote Start (Key Start), Security system, Speed control, Steering wheel mounted audio controls, Tachometer, Telescoping steering wheel, Tilt steering wheel, Traction control, Trip computer, Variably intermittent wipers, and Woven Cloth Seat Trim. 30/40 City/Highway MPG All Applicable Rebates have been applied. Buyer may be eligible for further rebates. Please see dealer for full details. We offer FREE PICK UP AND DELIVERY of your car while you work or a FREE LOANER for extended service visits (plus tax, see service for details). 2019 Kia Forte LXS 2.0L 4-Cylinder **INCLUDED FEATURES & OPTIONS: 4 Speakers, 4-Wheel Disc Brakes, ABS brakes, Air Conditioning, AM/FM radio, Automatic temperature control, Brake assist, Bumpers: body-color, Cargo Net, Carpeted Floor Mats, Delay-off headlights, Driver door bin, Driver vanity mirror, Dual front impact airbags, Dual front side impact airbags, Electronic Stability Control, Exterior Parking Camera Rear, Front anti-roll bar, Front Bucket Seats, Front Center Armrest, Front dual zone A/C, Front reading lights, Front wheel independent suspension, Fully automatic headlights, Illuminated entry, Low tire pressure warning, Occupant sensing airbag, Overhead airbag, Overhead console, Panic alarm, Passenger door bin, Passenger vanity mirror, Power door mirrors, Power steering, Power windows, Radio data system, Radio: UVO Play AM/FM/MP3 Audio System, Rear window defroster, Remote keyless entry, Remote Start (Key Start), Security system, Speed control, Steering wheel mounted audio controls, Tachometer, Telescoping steering wheel, Tilt steering wheel, Traction control, Trip computer, Variably intermittent wipers, and Woven Cloth Seat Trim. 30/40 City/Highway MPG All Applicable Rebates have been applied. Buyer may be eligible for further rebates. Please see dealer for full details. We offer FREE PICK UP AND DELIVERY of your car while you work or a FREE LOANER for extended service visits (plus tax, see service for details). 2019 Kia Forte LXS 2.0L 4-Cylinder ABS brakes, Electronic Stability Control, Front dual zone A/C, Illuminated entry, Low tire pressure warning, Remote keyless entry, Traction control. **INCLUDED FEATURES & OPTIONS: ABS brakes, Electronic Stability Control, Front dual zone A/C, Illuminated entry, Low tire pressure warning, Remote keyless entry, Traction control, 4 Speakers, 4-Wheel Disc Brakes, Air Conditioning, AM/FM radio, Automatic temperature control, Brake assist, Bumpers: body-color, Delay-off headlights, Driver door bin, Driver vanity mirror, Dual front impact airbags, Dual front side impact airbags, Exterior Parking Camera Rear, Front anti-roll bar, Front Bucket Seats, Front Center Armrest, Front reading lights, Front wheel independent suspension, Fully automatic headlights, Occupant sensing airbag, Overhead airbag, Overhead console, Panic alarm, Passenger door bin, Passenger vanity mirror, Power door mirrors, Power steering, Power windows, Radio data system, Radio: UVO Play AM/FM/MP3 Audio System, Rear window defroster, Security system, Speed control, Split folding rear seat, Steering wheel mounted audio controls, Tachometer, Telescoping steering wheel, Tilt steering wheel, Trip computer, Variably intermittent wipers, Wheels: 16" x 6.5" Machine Finish Alloy, and Woven Cloth Seat Trim. 30/40 City/Highway MPG All Applicable Rebates have been applied. Buyer may be eligible for further rebates. Please see dealer for full details. We offer FREE PICK UP AND DELIVERY of your car while you work or a FREE LOANER for extended service visits (plus tax, see service for details). 2020 Kia Soul LX 2.0L 4-Cylinder **INCLUDED FEATURES & OPTIONS: 16" Steel Wheels, 4-Wheel Disc Brakes, 6 Speakers, 6-Way Adjustable Driver's Seat, ABS brakes, Air Conditioning, AM/FM radio, Brake assist, Bumpers: body-color, Cargo Net, Carpeted Floor Mats, Cloth Seat Trim, Delay-off headlights, Driver door bin, Driver vanity mirror, Dual front impact airbags, Dual front side impact airbags, Electronic Stability Control, Exterior Parking Camera Rear, Front anti-roll bar, Front Bucket Seats, Front Center Armrest w/Storage, Front reading lights, Front wheel independent suspension, Fully automatic headlights, Low tire pressure warning, Occupant sensing airbag, Outside temperature display, Overhead airbag, Overhead console, Passenger door bin, Passenger vanity mirror, Power door mirrors, Power steering, Power windows, Radio: AM/FM/MP3 Audio System, Rear window defroster, Rear window wiper, Remote keyless entry, Speed control, Speed-sensing steering, Split folding rear seat, Steering wheel mounted audio controls, Tachometer, Telescoping steering wheel, Tilt steering wheel, Traction control, Trip computer, and Variably intermittent wipers. 27/33 City/Highway MPG All Applicable Rebates have been applied. Buyer may be eligible for further rebates. Please see dealer for full details. We offer FREE PICK UP AND DELIVERY of your car while you work or a FREE LOANER for extended service visits (plus tax, see service for details). 2020 Kia Soul LX 2.0L 4-Cylinder **INCLUDED FEATURES & OPTIONS: 16" Steel Wheels, 4-Wheel Disc Brakes, 6 Speakers, 6-Way Adjustable Driver's Seat, ABS brakes, Air Conditioning, AM/FM radio, Brake assist, Bumpers: body-color, Cargo Net, Carpeted Floor Mats, Cloth Seat Trim, Delay-off headlights, Driver door bin, Driver vanity mirror, Dual front impact airbags, Dual front side impact airbags, Electronic Stability Control, Exterior Parking Camera Rear, Front anti-roll bar, Front Bucket Seats, Front Center Armrest w/Storage, Front reading lights, Front wheel independent suspension, Fully automatic headlights, Low tire pressure warning, Occupant sensing airbag, Outside temperature display, Overhead airbag, Overhead console, Passenger door bin, Passenger vanity mirror, Power door mirrors, Power steering, Power windows, Radio: AM/FM/MP3 Audio System, Rear Bumper Applique, Rear window defroster, Rear window wiper, Remote keyless entry, Speed control, Speed-sensing steering, Split folding rear seat, Steering wheel mounted audio controls, Tachometer, Telescoping steering wheel, Tilt steering wheel, Traction control, Trip computer, and Variably intermittent wipers. 27/33 City/Highway MPG All Applicable Rebates have been applied. Buyer may be eligible for further rebates. Please see dealer for full details. We offer FREE PICK UP AND DELIVERY of your car while you work or a FREE LOANER for extended service visits (plus tax, see service for details). 2019 Kia Forte S 2.0L 4-Cylinder **INCLUDED FEATURES & OPTIONS: 4-Wheel Disc Brakes, 6 Speakers, ABS brakes, Air Conditioning, AM/FM radio: SiriusXM, Automatic temperature control, Brake assist, Bumpers: body-color, Delay-off headlights, Driver door bin, Driver vanity mirror, Dual front impact airbags, Dual front side impact airbags, Electronic Stability Control, Exterior Parking Camera Rear, Front anti-roll bar, Front Bucket Seats, Front Center Armrest, Front dual zone A/C, Front fog lights, Front reading lights, Front wheel independent suspension, Fully automatic headlights, Illuminated entry, Low tire pressure warning, Occupant sensing airbag, Overhead airbag, Overhead console, Panic alarm, Passenger door bin, Passenger vanity mirror, Power door mirrors, Power steering, Power windows, Radio data system, Radio: UVO eServices AM/FM/MP3 Audio System, Rear seat center armrest, Rear window defroster, Remote keyless entry, Security system, Speed control, Split folding rear seat, Steering wheel mounted audio controls, Tachometer, Telescoping steering wheel, Tilt steering wheel, Traction control, Tricot Cloth Seat Trim, Trip computer, Variably intermittent wipers, and Wheels: 17" x 7.0" Machine Finish Alloy. 30/40 City/Highway MPG All Applicable Rebates have been applied. Buyer may be eligible for further rebates. Please see dealer for full details. We offer FREE PICK UP AND DELIVERY of your car while you work or a FREE LOANER for extended service visits (plus tax, see service for details). 2019 Kia Soul Plus 2.0L 4-Cylinder **INCLUDED FEATURES & OPTIONS: Audio Package (2 USB Center Console Chargers, Alarm w/Engine Immobilizer, Leatherette Instrument Hood/Door Center/Armrests, Leather-Wrapped Steering Wheel & Shift Knob, Piano Black Accents, Push Button Start w/Smart Key, Radio: harman/kardon Audio System, and Satin Chrome Interior Door Handles), 4-Wheel Disc Brakes, 6 Speakers, 6-Way Adjustable Driver's Seat, ABS brakes, Air Conditioning, Alloy wheels, AM/FM radio: SiriusXM, Automatic temperature control, Brake assist, Bumpers: body-color, Carpeted Floor Mat, Cloth Seat Trim, Driver door bin, Driver vanity mirror, Dual front impact airbags, Dual front side impact airbags, Electronic Stability Control, Emergency communication system, Exterior Parking Camera Rear, Front anti-roll bar, Front Bucket Seats, Front Center Armrest, Front fog lights, Front reading lights, Front wheel independent suspension, Fully automatic headlights, Heated door mirrors, Illuminated entry, Low tire pressure warning, Occupant sensing airbag, Outside temperature display, Overhead airbag, Overhead console, Panic alarm, Passenger door bin, Passenger vanity mirror, Power door mirrors, Power steering, Power windows, Radio: AM/FM/MP3 Audio System, Rear seat center armrest, Rear window defroster, Rear window wiper, Remote keyless entry, Speed control, Speed-sensing steering, Split folding rear seat, Steering wheel mounted audio controls, Tachometer, Telescoping steering wheel, Tilt steering wheel, Traction control, Trip computer, Variably intermittent wipers, and Wheel Locks. 25/30 City/Highway MPG All Applicable Rebates have been applied. Buyer may be eligible for further rebates. Please see dealer for full details. We offer FREE PICK UP AND DELIVERY of your car while you work or a FREE LOANER for extended service visits (plus tax, see service for details). 2019 Kia Forte S 2.0L 4-Cylinder **INCLUDED FEATURES & OPTIONS: 4-Wheel Disc Brakes, 6 Speakers, ABS brakes, Air Conditioning, AM/FM radio: SiriusXM, Automatic temperature control, Brake assist, Bumpers: body-color, Cargo Net, Carpeted Floor Mats, Delay-off headlights, Driver door bin, Driver vanity mirror, Dual front impact airbags, Dual front side impact airbags, Electronic Stability Control, Exterior Parking Camera Rear, Front anti-roll bar, Front Bucket Seats, Front Center Armrest, Front dual zone A/C, Front fog lights, Front reading lights, Front wheel independent suspension, Fully automatic headlights, Illuminated entry, Low tire pressure warning, Occupant sensing airbag, Overhead airbag, Overhead console, Panic alarm, Passenger door bin, Passenger vanity mirror, Power door mirrors, Power steering, Power windows, Radio data system, Radio: UVO eServices AM/FM/MP3 Audio System, Rear seat center armrest, Rear window defroster, Remote keyless entry, Remote Start (Key Start), Security system, Speed control, Split folding rear seat, Steering wheel mounted audio controls, Tachometer, Telescoping steering wheel, Tilt steering wheel, Traction control, Tricot Cloth Seat Trim, Trip computer, Variably intermittent wipers, and Wheels: 17" x 7.0" Machine Finish Alloy. 30/40 City/Highway MPG All Applicable Rebates have been applied. Buyer may be eligible for further rebates. Please see dealer for full details. We offer FREE PICK UP AND DELIVERY of your car while you work or a FREE LOANER for extended service visits (plus tax, see service for details). 2019 Kia Optima LX 2.4L 4-Cylinder **INCLUDED FEATURES & OPTIONS: 4-Wheel Disc Brakes, 6 Speakers, ABS brakes, Air Conditioning, Alloy wheels, AM/FM radio, Anti-whiplash front head restraints, Auto High-beam Headlights, Blind spot sensor: Blind-Spot Collision Warning warning, Brake assist, Bumpers: body-color, Cargo Net, Carpet Floor Mats, Cloth Seat Trim, Delay-off headlights, Driver door bin, Driver vanity mirror, Dual front impact airbags, Dual front side impact airbags, Electronic Stability Control, Four wheel independent suspension, Front anti-roll bar, Front Bucket Seats, Front Center Armrest, Front reading lights, Fully automatic headlights, Heated door mirrors, Illuminated entry, Knee airbag, Low tire pressure warning, Mud Guards Front & Rear, Occupant sensing airbag, Outside temperature display, Overhead airbag, Overhead console, Panic alarm, Passenger door bin, Passenger vanity mirror, Power door mirrors, Power steering, Power windows, Radio data system, Radio: AM/FM/MP3 Audio System, Rear anti-roll bar, Rear Parking Sensors, Rear seat center armrest, Rear window defroster, Remote keyless entry, Security system, Speed control, Speed-sensing steering, Split folding rear seat, Steering wheel mounted audio controls, Tachometer, Telescoping steering wheel, Tilt steering wheel, Traction control, Trip computer, Turn signal indicator mirrors, and Variably intermittent wipers. 24/33 City/Highway MPG All Applicable Rebates have been applied. Buyer may be eligible for further rebates. Please see dealer for full details. We offer FREE PICK UP AND DELIVERY of your car while you work or a FREE LOANER for extended service visits (plus tax, see service for details). 2019 Kia Optima LX 2.4L 4-Cylinder **INCLUDED FEATURES & OPTIONS: 4-Wheel Disc Brakes, 6 Speakers, ABS brakes, Air Conditioning, Alloy wheels, Anti-whiplash front head restraints, Auto High-beam Headlights, Blind spot sensor: Blind-Spot Collision Warning warning, Brake assist, Bumpers: body-color, Cargo Net, Carpet Cargo Mat, Carpet Floor Mats, Delay-off headlights, Driver door bin, Driver vanity mirror, Dual front impact airbags, Dual front side impact airbags, Electronic Stability Control, Four wheel independent suspension, Front anti-roll bar, Front Bucket Seats, Front Center Armrest, Front reading lights, Fully automatic headlights, Heated door mirrors, Illuminated entry, Knee airbag, Low tire pressure warning, Occupant sensing airbag, Outside temperature display, Overhead airbag, Overhead console, Panic alarm, Passenger door bin, Passenger vanity mirror, Power door mirrors, Power steering, Power windows, Radio data system, Rear anti-roll bar, Rear Parking Sensors, Rear seat center armrest, Rear window defroster, Remote keyless entry, Security system, Speed control, Speed-sensing steering, Split folding rear seat, Steering wheel mounted audio controls, Tachometer, Telescoping steering wheel, Tilt steering wheel, Traction control, Trip computer, Turn signal indicator mirrors, Variably intermittent wipers, and Wheel Locks. 24/33 City/Highway MPG All Applicable Rebates have been applied. Buyer may be eligible for further rebates. Please see dealer for full details. We offer FREE PICK UP AND DELIVERY of your car while you work or a FREE LOANER for extended service visits (plus tax, see service for details).